I did a fashions range! I’m good at some things: interrupting people, spilling yoghurt on my top, eating chocolate right before dinner…. but one thing I am NOT good at is fashion. A great way for someone to learn this about themselves is to work in fashion magazines, which I did, and was gifted immediately with the confirmation of something I always suspected, which is that fashion is hard. If you let it be, that is. I was in my twenties back then. Cared too much about what people thought. Thought I needed to be turbo on-trend, to the detriment of my bank account, figure, and sense of worth. I didn’t. The key, of course, is knowing what you like, and wearing it with confidence. No matter what that is. Wear some goddamn lederhosen if it makes you happy. Now, in my shimmering thirties, I give little to no fucks about what people think of how I dress, and one look at my trainers-jeans-and-hoodie combo today will quickly validate this. I care about how I feel though. About making an effort. About quality. About wearing things I like, and which delight me, and which look good, and will last. Oh, I still love a chain store purchase here and there, H&M, COS and Zara do some great stuff, but buying a good coat, sweaters, jeans, tees, shoes and bags – a uniform of sort – pays off. Cost per wear blah blah blah, things that spark joy etc etc etc. Anyway. 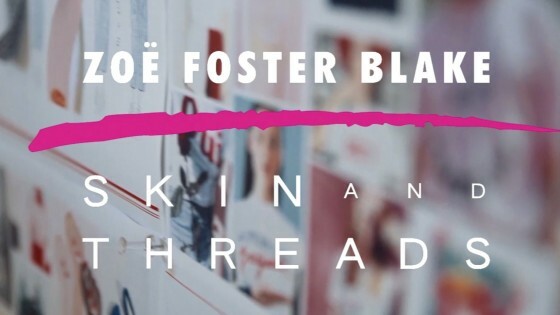 It was with all that in mind that I collaborated with Skin and Threads on a little capsule collection, which is now on sale! via their stores, in Myer, or online. Me in the Melbourne At Night tee and checked cotton trench. We started work on it last year. “Wanna do a collab?” S&T designer and director, Penelope said. “Look, you know I love your stuff, but what I would want to make, is what I would want to wear, and that will be too fruity for you guys,” I said. 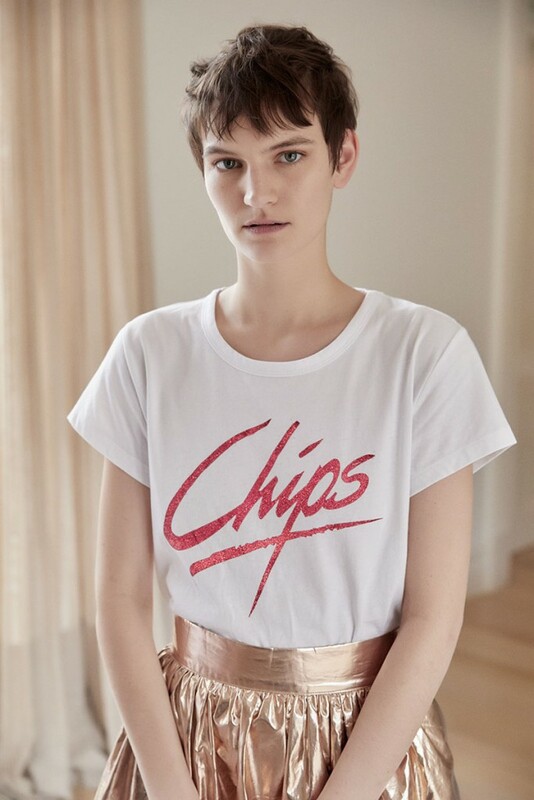 “I gotta have chips. Fruit. Muscle cars. Sea creatures. And HEAPS OF PINK.” – I said. “Let’s do it.” – Penelope, now in a leather jacket, fedora and smoking a cigar. The whole process was a lot of fun. Unlike my business, Go-To, where I think up the product, test it a million times, get samples, packaging, consider all the logistics etc etc, Skin and Threads took care of aaaaall that, and I basically sat on a banana chair with a Pina Colada barking orders: PUT THE LOBSTER THERE. NO, HIGHER! I SAID HIGHER, YOU BUFFOON! NO ONE LIKES A LOW LOBSTER! Anyway. I LOVE IT. I really do. As you can see from these images of the glorious Hirschy in the range, I had a lot of sartorial shits and giggles designing these clothes. The quality is high, as it always is with Skin and Threads, and the vibes are GOOD. Cos I loved wearing my older brother’s puffy Torana t-shirts as a kid. A fancy gold skirt! Fancy! 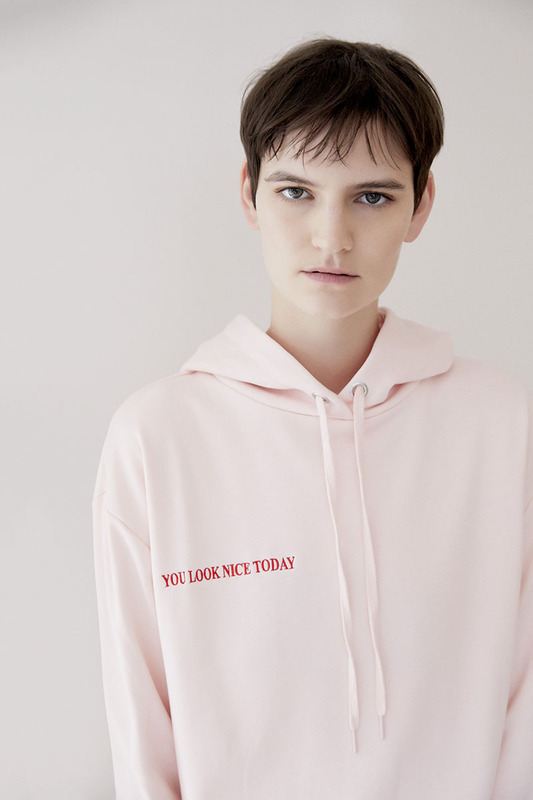 The big, cosy, glorious pink hoodie. Complete with compliment. A FAVE. A sweet, soft ladyblouse with orange slices, and the trench. The classic, super soft, all-purpose V-neck grey sweater. After all, it’s perfectly legal to have fun getting dressed! (Ditto applying your skin care/makeup/doing your hair). Life is short! Wear a friggen lobster already! Or a cockatoo! Or some rockets! Or an Iced VoVo! Live it up! 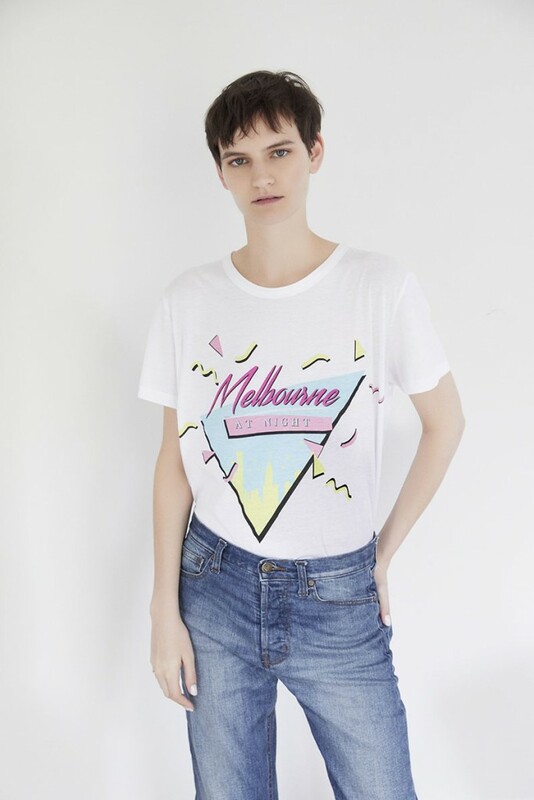 The “mom” jeans that are cooler than that, and a 1987-y Melbourne at Night tee. A classic shirt dress and collar. Belt it! Don’t! Wear with heels! Or trainers! Chips are the best food. That’s why they get glitter red font. A classic Breton with a crustacean twist. Man I friggen love this wool rocket jumper. And the girly high-waisted skirt. It’s not all novelty and nostalgia, though. You need balance, some classics. So, there is an elegant shirtdress, and skirt, a checked trench (with a hood, because coats with hoods are always better), classic high-waisted cropped jeans, and V-neck cashmere sweater (a True Wardrobe Staple) and a few ladylike blouses for fancy-casual dressing. My ideal outfit pirouettes between jubilant and elegant, and I think – or rather hope – this collection exemplifies that. And if it doesn’t, and it’s a huge failure, and you guys don’t like any of it, at least I got some great new clothes to see out this vile, never-ending Melbourne winter. A brief word about the fit: I like my sweaters (and t-shirts) either tight and tucked in, (lobster/rockets/cocky) slightly cropped to sit over high-waisted jeans, (Vovo), or oversized and boyfriendy (V-neck/hoodie). All the sweaters in the collaboration have different fits, (so do the tees) so they are definitely worth trying on. Also, I find the sizing a bit on the small size (could be these breastfeeding mams) – so consider going up a size. Also, I love you and thanks for reading all this. 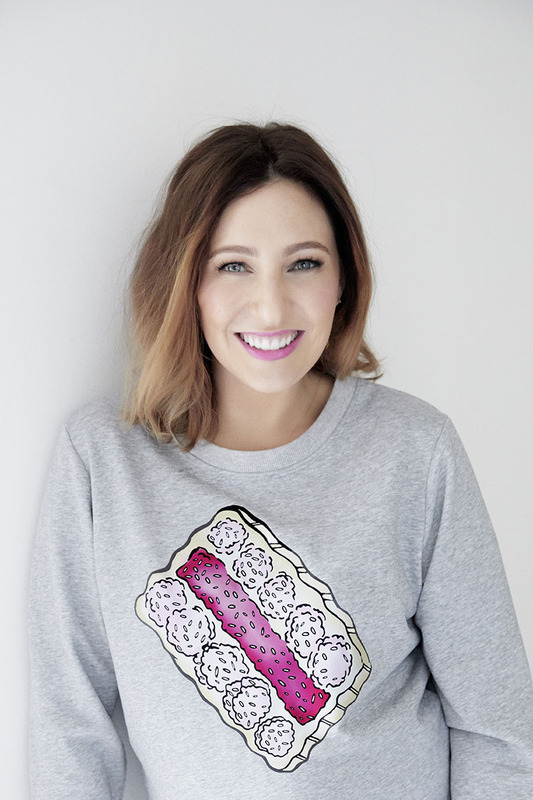 If QLD wasn’t hot as hell, I would be very broke and also own a lot of novelty jumpers (my fave type of jumper). Congratulations Zoe. I think you’re amazing! 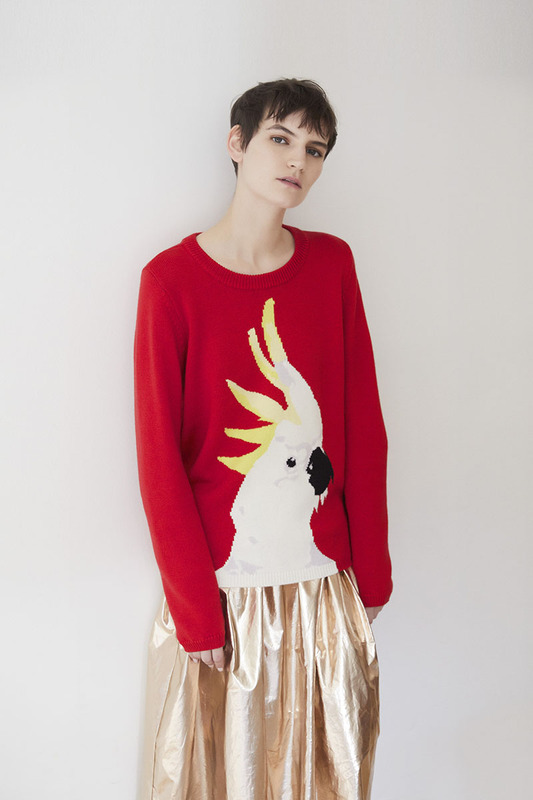 Only a few things seem to be available online (eg no cockatoo jumper :() Will they be released online progressively? Such a shame that they are only smaller sizes – only up to a size 12…. Long-time fan, Zoe, but those clothes are horrible. I just read your old Westfield (I think) post where your outfits were perfect and I have to genuinely ask what the hell were you thinking? This is not trolling or tall poppying…if I met you/ knew you, I would ask you to your face as I am truly baffled how someone as stylish as you could get this so wrong. And that model! My god, could she look more glum and beige and bored? Seriously, what were you thinking?!!!! Zoe we need to sit down and have a chat. I know you’re a great example of a woman being pro women. But the fact that the largest size that you have in this range is essentially a size 12-14 is really really disappointing. Did the company (or even you) not have enough faith in the collection to outlay for patterns in larger sizes? I really love a couple of those pieces – most are too whacky for my taste – but I can’t support you or the company that has produced it (and I always try to support local business) because no thought has gone into the size that ‘real’ Australian women are.